In a glass baking dish, combine the garlic, white wine, lemon juice, soy sauce, extra virgin coconut oil, poultry seasoning, salt and pepper. Mix just to blend. 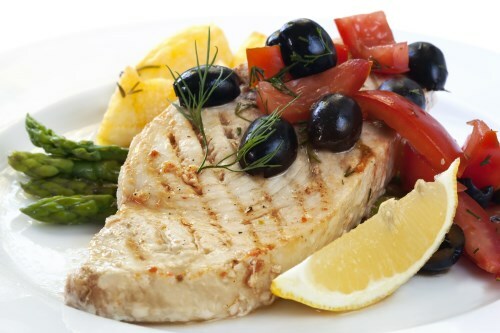 Place swordfish steaks into the marinade, and refrigerate for 1 hour, turning frequently.